I recently embarked on a little journey to investigate various methods to improve the performance of a website, in this case a small static placeholder site of mine (might as well put something there) dand.ws. It’s hosted on shared hosting at Dreamhost, on Apache. 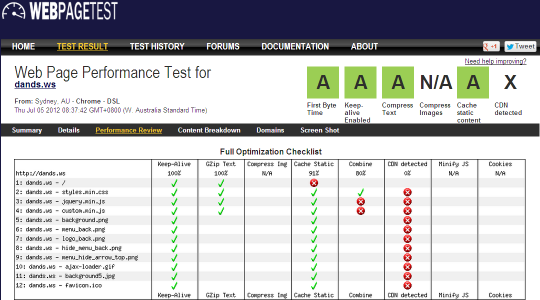 Website performance is known to be one (of many) indicator that Google use to rank sites. This means that if you’re trying to run a business, poor performance is probably costing your money. Even for a non-commercial website, the experience that a user gets can be dramatically improved if they don’t have to wait for each and every page to painfully load. 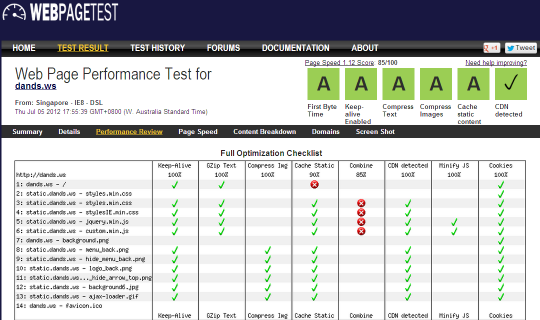 A service that I’ve used in the past that can be very helpful is WebPageTest.org, which will independently go to any site and check its performance. Alternative tools would include the Google Page Speed and Yahoo YSlow! browser extensions. All of these tools suggest tried and true ways to improve your site. This is showing some good signs, with images being compressed to an acceptable level and pointing out the lack of text compression, caching or a CDN. I had previously compressed/tweaked the images to the best I could do with tools such as PNGGauntlet (for PNGs) and thought I had found a decent balance with various JPGs, but that was about it. I have recently run the PNGs through a new site a came across, TinyPNG, which improved only a couple by a few percent, but a gain is a gain. I’ve also recently used smush.it to further tweak some of these images even more, another few bytes here or there, but one big (10KB) gain came from the GIF animation I’ve used for the background transitions. Which brings me to the backgrounds which I thought were pretty damn good, smush.it managed to eek out another 69KB in savings across the 9 files. 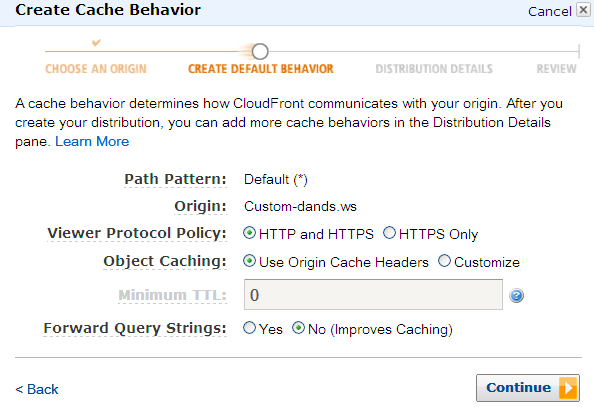 The second significant configuration you should do is removing ETags and then setting the Expires and Cache-Control headers. This gives a clear signal to the browser to say “this artefact wont change until <a-future-date>, you might as well keep it cached locally” which will mean that the page load time for a returning visitor will be dramatically lowered. Header set Expires "Fri, 21 Dec 2012 00:00:00 GMT"
That is a bit better, our content caching and GZIP compression are being recognised. What about a CDN? A What? Content Delivery Networks (CDNs) can simply be defined as being a number of well connected servers located around the world and use some (somewhat) magical networking tricks to locate and use the nearest one to the site visitor, these servers cache a chunk of the internet, which obviously improves performance with a lower number of hops across the internet. 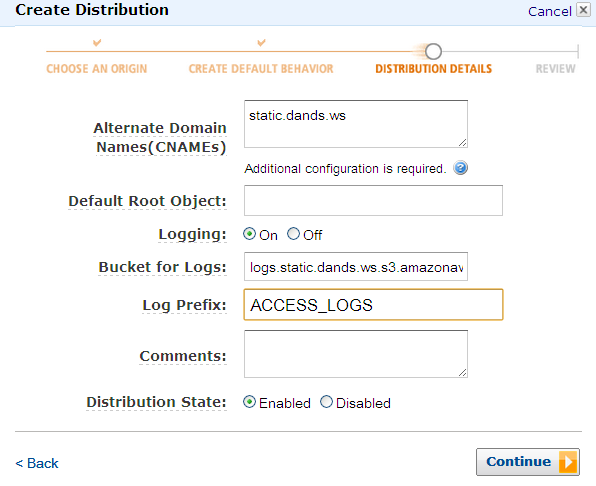 Some commonly known providers include Level3, Akamai or MaxCDN, but not too long ago Amazon released Amazon Cloudfront which makes things dead simple. So how do we use a CDN in a very inexpensive way without spending days of effort? Go to Amazon CloudFront and signup for an account, it’s associated with your Amazon account, but you need to go through a couple more steps before you can get in there. In my case I had to enter my phone number and an automated system called me immediately, but this step is actually quite slick. Once in there, click Create Distribution and choose a Download Distribution. On the Distribution Details screen, in the first field, enter the domain of where you’ll point your content at, mine is static.dands.ws. 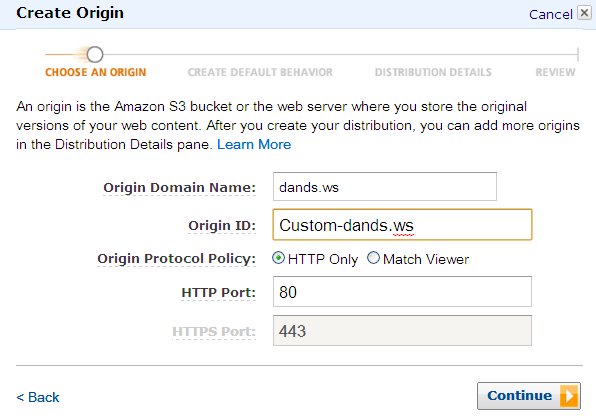 You can log every request to a provided Amazon S3 bucket, for now I’ve just enabled it for some possible future usage. Once you’ve created the Distribution, take note of the domain name that CloudFront has assigned, it’ll be something like “ag9afkj3rk2j.cloudfront.net”. That’s it for CloudFront, now to setup that CNAME you just used. Adding a CNAME should be as simple as logging into your hosting or DNS provider and adding one more entry, in my case I’m using Dreamhost. In the “Manage Domains” screen, choose the “DNS” option for your main domain. In the Value field you need to put the alphanumeric subdomain you got from CloudFront, but be sure to include a trailing fullstop (indicated but not visible). Click the “Add Record now!” button and there’ll probably be some short wait for the settings to take affect (5 -10 mins). That’s it for the CNAME. The essentially removes all the new lines and depending on the configuration, perhaps rewrite your code to take up less space by way of renaming variables etc. java -jar c:\tools\html-compressor\htmlcompressor-1.5.3\bin\htmlcompressor-1.5.3.jar -t html -m *.php -o . All told I would’ve spent something like 6 hours over a couple nights (whilst watching The Tour) to get these results. 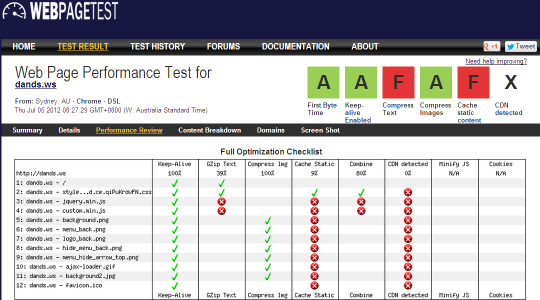 Does your site need some website performance TLC? I’m going to spend some time working out how I can improve the performance of this site but at this point the biggest performance drag seems to be wordpress-on-dreamhost (both are great, but I can do better).